At the western end of Champs-Élysées in Paris, France, sits one of the country’s most famous monuments, Arc de Triomphe. 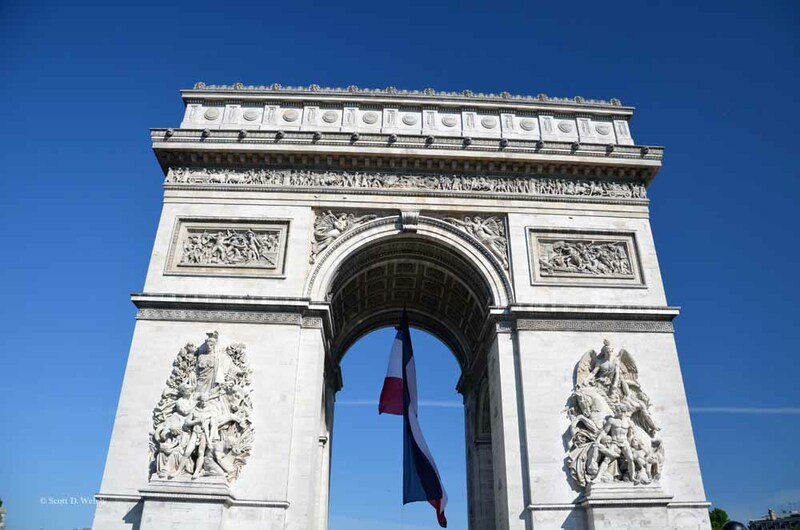 Situated at the center of Place Charles de Gaulle, the Arc honors those soldiers who fought and died in both the French Revolutionary and Napoleonic Wars. 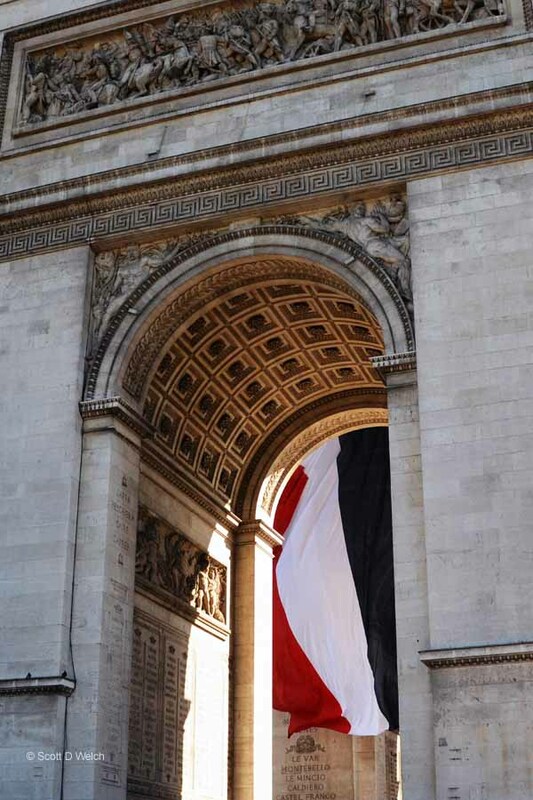 The victories during those conflicts, as well as the generals, are inscribed on the Arc, while beneath it there is the Tomb of the Unknown Soldier from World War I. The Arc is one of several monuments that are between Musee du Louvre and La Grande Arche de la Défense. It stands 164 feet (50 meters) tall and is 148 feet (45 meters) wide and 72 feet (22 meters) deep. Though it was commissioned in 1806 it would not be completed, for various reasons, for another three decades. At the time it was finished it reigned as the tallest triumphal arch, to be beaten by one erected in Korea some 50 years later. 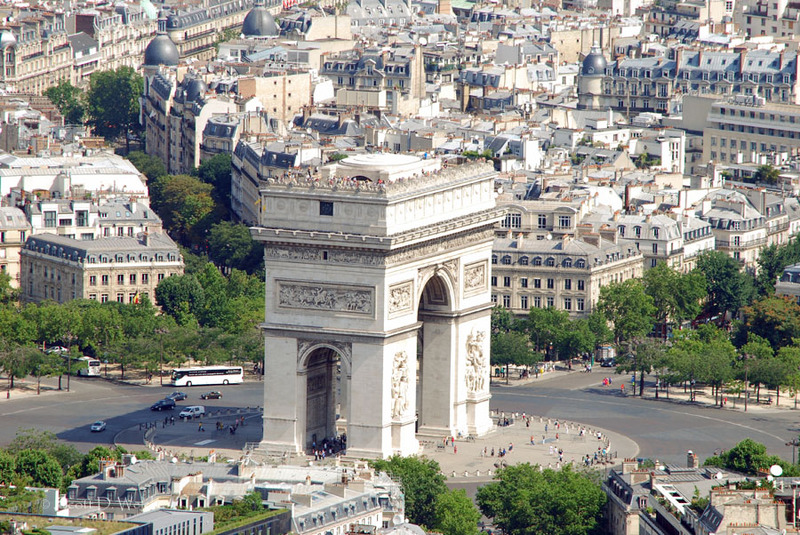 The design of Arc de Triomphe was inspired by the 1st century Roman Arch of Titus, though is over three times as large. The Arc is adorned with many sculptures and reliefs, adding much to its artistic beauty. 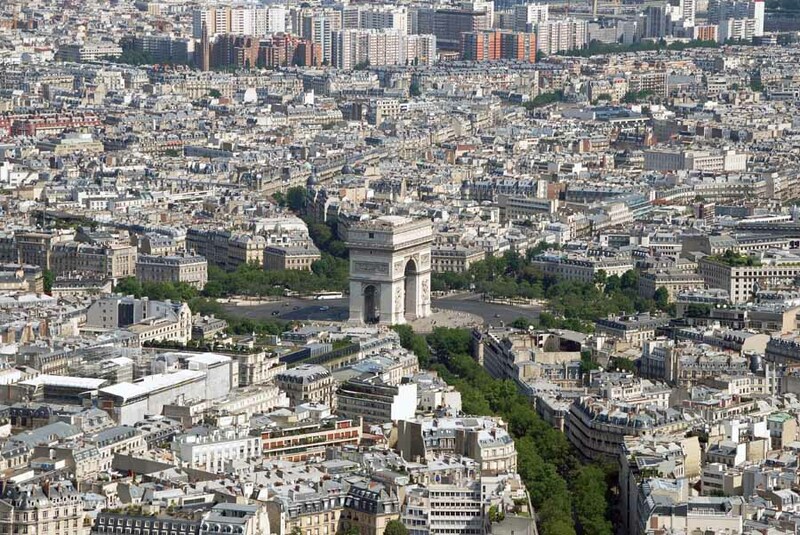 A lift will take those visiting to the attic (which includes a museum) and a 46 step climb will land a person at the top, where there is offered a 360 degree view across all of Paris. The Arc de Triomphe is well worth a visit when in Paris.